Three grapes comprise the “holy trinity” for making Champagne: Chardonnay, Pinot Noir, and Pinot Meunier. They are like Three Graces in Greek mythology – Beauty, Brightness and, Joy, a trio which symbolizes the abundance of the region. When blended together, each works in harmony with the other. The results are prized wines of elegance and finesse. 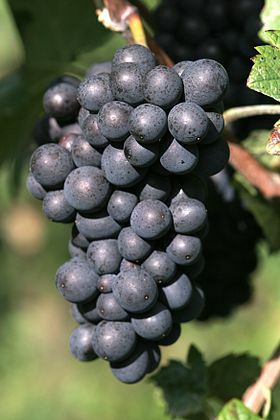 Pinot Meunier, a member of the Pinot Noir family and the second most widely planted grape in Champagne, is the often overlooked and under- appreciated. Many Meunier producers, including a small group of Champagne grower-producers known as the Meunier Institut, believe it’s time to spotlight 100 percent Meunier champagnes, referring to the grape as simply “Meunier” to differentiate it further from Pinot Noir. Also called “Petite Meunier,” this varietal is a small but hearty black grape that buds later, ripens earlier, and can withstand frost better than Chardonnay and Pinot Noir. Its name is derived from the downy white underside of its leaves, resembling a dusting of milled flour, possibly from the French cooking preparation à la meunière meaning to dredge something in flour (think sole meunière). 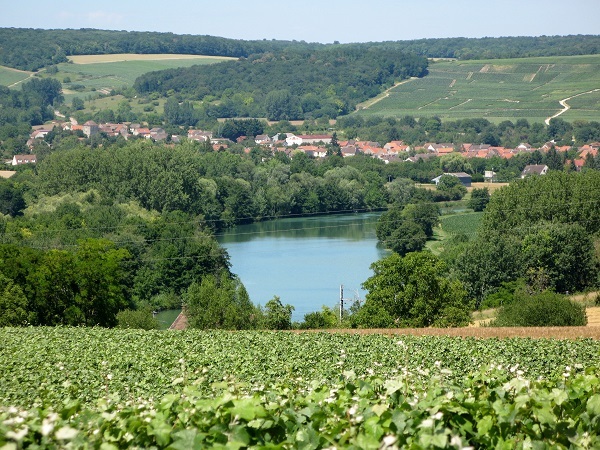 The Marne Valley, the largest of Champagne’s four major production regions, is where Meunier thrives in the nutrient dense clay and limestone soils. The Marne Valley is a slightly cooler area due to its northwest location in Champagne. Epernay is the main city to the west of the valley, and is where sixty percent of Meunier is grown. You can also find Meunier in some areas of the Loire Valley, Germany, USA, and New Zealand. 100 percent Meunier Champagne wines tend to be crisp with bright acid and aromatics. Enjoy these wines young and fresh, although some can age well with care.